As N’Golo Kante continues to be played in a new position by Chelsea boss Maurizio Sarri, former Blues ace Tony Cascarino fears he could seek an exit at the end of the season. The 27-year-old has established himself as a fundamental figure for club and country in recent years, winning two Premier League titles and the World Cup along the way. During that successful run though, he has predominantly operated in a central defensive midfield role with the dynamism to defend deeper while also pushing forward in attack too. However, that has all changed under Sarri, as although he’s continued to form a crucial part of his plans, having made 17 appearances in all competitions already this season, he has been deployed in a more attacking role in the Italian tactician’s system. With Jorginho pulling the strings and Mateo Kovacic providing creativity further up the pitch, it has been a change from what Chelsea have previously adopted, and Cascarino clearly has major fears over the long-term repercussions for Kante. “He’s being played out of position. You feel he’s wasted,” he told talkSPORT. “He’s the best at his position in the world, without a doubt, for me. 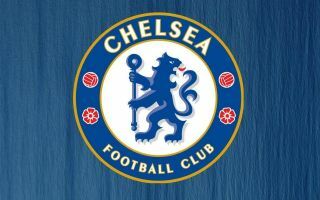 It remains to be seen if it gets that far, or perhaps if it continues to prove ineffective, Sarri may decide to change it as the season goes on. While it worked for him at Napoli with Allan arguably playing the same role alongside Jorginho and Marek Hamsik, perhaps he would be wise to go back to basics and play Kante where many believe he’s most influential. For now though, it seems a little bit of a stretch to suggest that it could be enough to force Kante to seek an exit from Stamford Bridge.